Testing is the art of thinking and not copying. Testing is the fun process of finding bugs and not code of ethics violation. Violating code of ethics and copyright law. Now it is extremesoftwaretesting.com and extremetestingsphere.com registered under my name. The site was started as a software testing dictionary. At that moment, the most popular discussion in all user groups related to software testing was terminology! I had the nickname GreyCat and I think I was a member of all groups available at that time. Only one book about software testing was available in Canada for sale at the time: Testing Computer Software by Kaner, Fank, and Nguyen (1998). A couple of books were also available at the library: Black-Box Testing: Techniques for Functional Testing of Software and Systems by Boris Beizer (1995) and the Art of Software Testing by Glenford J. Myers (1979). See more in Books We Recommend. 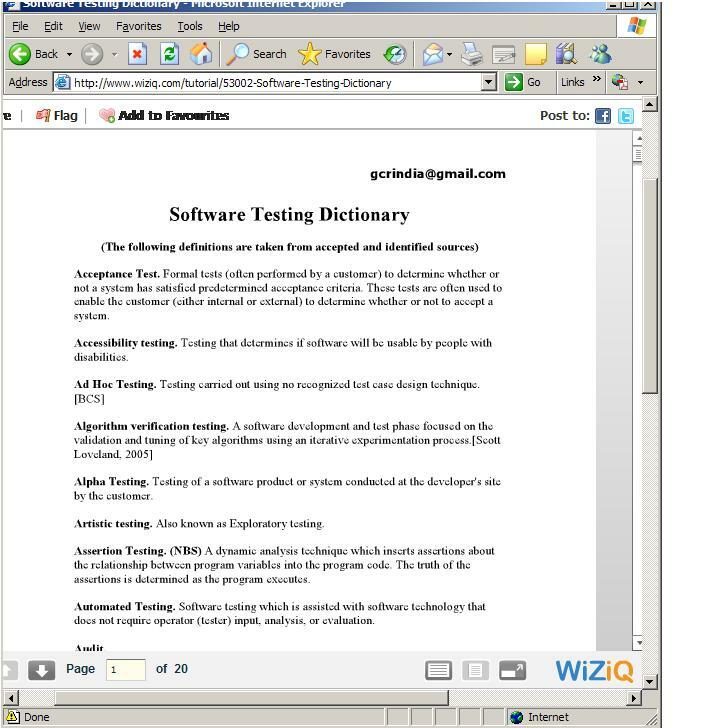 In 2003, I had all the books available on amazon.com and that allowed me to create, in my opinion, a very good software testing dictionary. At the same time, the site began grow up. I added interview questions that were asked during my interviews, as well as my presentations about software testing and a lot of other useful testing information. I started a page titled "jokes about software testers and testing" with jokes I liked. This page was very popular too. Many jokes I translated from Russian. It is a funny thing that in Russian, you can find more jokes than in any other language. 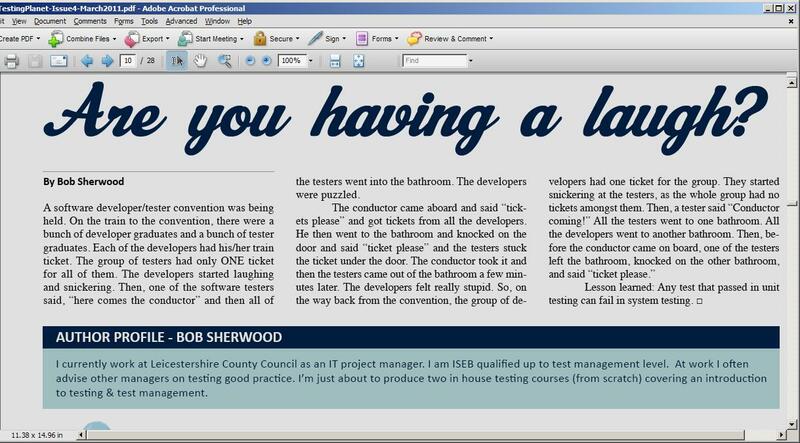 Some jokes were adapted by me to software testing from other fields. It was not an easy task. If you don’t believe me, try to do this yourself. (I have some education and a certificate in patent law, and as I recall, if you use an invention /patent in a completely different field, you can apply for your own patent in your field). I always tried to put authors of information where it was possible in the software testing dictionary as well as in interview questions and jokes or on other pages on my site. I received many "thank you" emails and many questions which I tried to answer if had the time. All was done completely voluntarily and available for free for software testers. Why did I start this page? Recently, many "software testers" started copying pages like the software testing dictionary with over 600 terms (20 pages) and publishing them under their own name, without changing a comma or giving me any credit. What most amazed me is that some certified individuals who should be aware of the code of ethics, put their name under the jokes I adapted or translated, trying to earn publicity this way. I will start black list of these "professionals". If you support this site, send them an email with recognition of their "merits" in software testing. Do not forget to hire them first if you have any job opportunities in your company. The original version is on Testing Jokes page. The publisher sells it for profit and after I contacted him, he refused to publish an appology. He stated that he would remove this infromation from the digital copy, but has not done so, and does not plan to remove the information from the printed version. The original and updated version is on Testing Dictionary page.